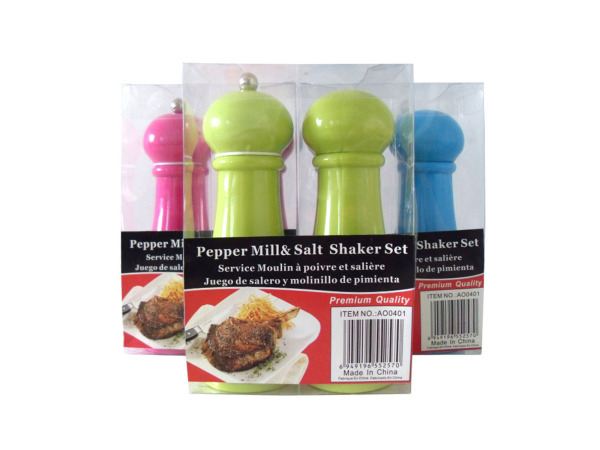 These colorful pepper mills and salt shakers will add a fun and useful element to the dining table. 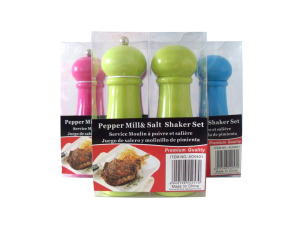 Each set includes one pepper mill (simply fill with peppercorns) and a salt shaker. Bright colors like green, pink and blue ensure there's an element of fun with functionality at the table.